Choose the best all around Customized Bottle Bag Coozie w/ your logo printed. Apps include health clubs, resorts, hotels, outdoor related imprinted coozies. 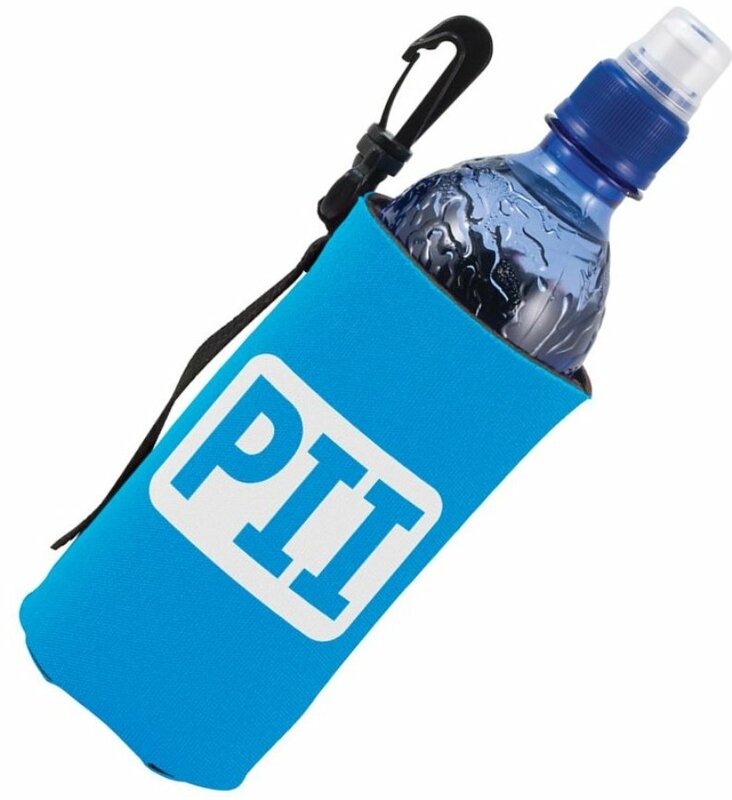 Imagine your logo customized coozies with both sides & bottom imprinted. Normal delivery from date of customized order is usually 2 - 3 weeks. Price includes a one color imprint both sides 3 1/4" w x 5" h.
Also included is one color print on bottom area 1 7/8" Dia. color add a setup and running charge of $.32 each. suitable for making your art in Adobe Illustrator.